Join your family, friends, and neighbours from Yeovil in this group, and together we can use collective buying power to save money on our insurance bills. Already there's a 5% discount with Legal & General on its Extra or Essentials home insurance policies available to everyone in this group. But if 100 people sign up, the discount increases to 12.5%. So why not invite family and friends to join the group too, and help bring down the costs of home insurance for everyone in Yeovil? You can read more about this in the Telegraph and the Western Gazette. Bought By Many Limited is an introducer appointed representative of Legal & General Insurance Limited for insurance introductions. I like this idea but it isn't time to renew my home insurance yet. What should I do? Join the group, and then drop us an email to let us know when you'd like us to remind you. If I'm one of the first people to sign up, won't I end up paying more than the 100th person? No - everybody in the group will benefit. If more people sign up after you've paid for your home insurance, and that takes the group over a threshold to a bigger discount, we will refund you the difference by cheque. This will be paid to you retrospectively the month following the anniversary of your policy start date and will be calculated from the point the Yeovil group hits 100 policyholders. When you renew, the higher discount will be automatically applied. What's so special about Yeovil? 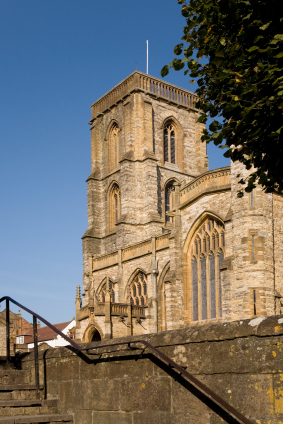 There are loads of great things about Yeovil - we particularly like a coffee at the Winking Frog, some quiet time in the beautiful St John's Church, a curry at the Viceroy, and a trip to see the Glovers at Huish Park. Not to mention the fact that Yeovil is the birthplace of Screwfix, that Ian Botham went to Buckler's Mead, or that it's home to the Yeovil Ninja. But what makes Yeovil attractive is that insurers need to spread their risks into different geographic areas. Yeovil happens to be the first place where Legal & General would like to attract more customers through its partnership with Bought By Many. What does this home insurance policy cover? Everything you'd expect from a household-name insurance company like Legal & General. For full details, take a look at the key features and home insurance policy booklets. You can choose between Legal & General's Extra or Essentials policies depending on what best suits your needs and pocket. For example, Extra is designed for those who've built up their home and possessions, and want more comprehensive cover. Or, if you simply want the basics covered, Essentials could be right for you. We're committed to working with only the very best home insurance companies. The insurer we've chosen for Yeovil is an award winning home insurer and they will take responsibility for any claims you need to make on your home insurance. Their lines are open 24 hours a day, 7 days a week. Can you guarantee this is the best price I can get on home insurance? We can guarantee that if you have a BA20 or BA21 postcode, you will receive the discount off the best price available from our partner Legal & General on their Extra or Essentials home insurance policies. But home insurance costs do vary based on a number of factors - such as post code, type of property, and age of property - so if you're not happy with the price you are quoted, do check prices with other insurance companies or price-comparison websites such as the ones listed below. I don't live in Yeovil. What are my options for cheap home insurance? We'd like to be able to able to help people get the best home insurance nationwide. But we're still working on it! If you'd like to suggest your village or town, why not contact us? If you're looking for home insurance reviews then Martin Lewis' Home Insurance section on Money Saving Expert is a good place to go. What is the process for working out a refund? You will receive a refund equivalent to an additional 7.5% discount. This will be calculated from the point the Yeovil Group hits 100 policyholders. It will be paid to you retrospectively the month following the anniversary of your policy start date. Why did you create this group? It's been great to see so many local communities in the UK clubbing together to get better deals on gas, electricity, and heating oil, helped by companies like BoilerJuice, and to see group buying in the media on programmes like Channel 4's Bulk Buy Britain. It's this trend towards collaborative buying as a way of helping families save money that inspired us to create a buying group for discounted home and contents insurance. You'll get a discount in line with the size of the group on the date of renewal - so if the group had (say) 310 members, you'd get the full 12.5% discount. "I just wanted to say how brilliant the beginning to end of my claim was when Lottie needed her knee operation and how helpful everyone wa..."
"Fantastic cover for about 40% cheaper than other insurers"